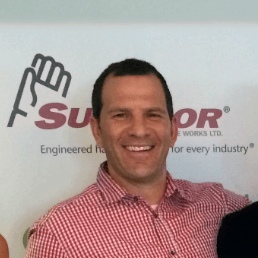 Because of some seasonal illnesses, we have not done our company dinner yet, but that will be coming soon. We did do our toy drive to give to the local Toys for Tots organization. In Minnesota, we did our shopping again at a local toy store ABC & Toy Zone in Chanhassen! 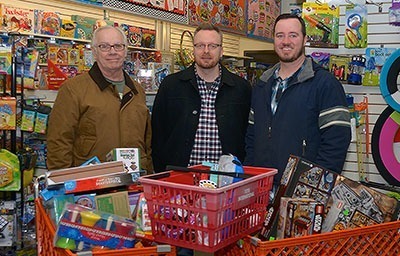 Thanks to the ABC & Toy Zone staff for once again helping us to fully load our carts (and a few baskets) and round up over 100 toys donate to the outstanding Toys for Tots Foundation! 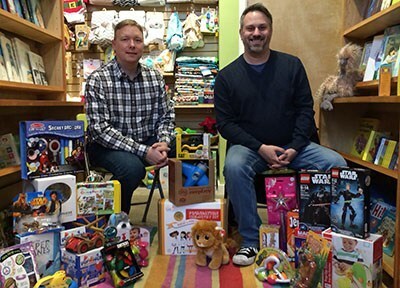 In Oregon, Tony & Chris took over their own local toy store Oodles 4 Kids in Sellwood. They carefully selected around 30 toys that they themselves would have been happy to own (notice all the star wars toys). It’s important to take the time each year and help those less fortunate than ourselves. We want to make sure as many kids as possible get to celebrate and be happy! From everyone here at WebRanking, have a wonderful holiday season and a happy New Year!